You may not have a cape. You may not have X-ray vision. You may not leap tall buildings in a single bound. But each day you think about how to protect people and property by knowing the latest fire ground tactics and emergency medical procedures. You are striving to better yourself academically for the purpose of serving others. For that, we thank you. You deserve the best up-to-date training material to guide you along in your studies. Gone are the days of photocopied practice tests from the 1980’s that most instructors love to hand out. We promise to offer the most up-to-date information in our programs. We are constantly re-evaluating our data to keep up with changing national procedures. All of this – instantly accessible online from any web browser after registration. 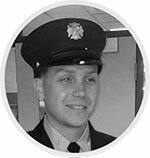 Mark began his career as a junior volunteer firefighter at the age of 16. He went on to work as a 911 operator in Bridgeport, CT where the idea for HeroPrep was born. Fascinated with all the different technologies found in a large urban emergency operations center, he began brainstorming ways to bring technology into the field of emergency services training. After gaining experience handling crisis situations from frantic callers, he landed a job with the Providence, RI Fire Department where he was assigned to Engine 7 in the Downtown district. During this time, he gained much experience as Firefighter/EMT from working on an ALS engine. HeroPrep began to grow significantly at this time when he began to incorporate EMT practice exams. He is currently working as a Firefighter/EMT for the New Haven, CT Fire Department. Originally a volunteer in the rural Northeast Kingdom of Vermont, he went on to serve as a call firefighter and later a paid firefighter in the Berkshire Hills of Western Massachusetts. He is now a career firefighter in Providence, Rhode Island. He is currently assigned to Engine Company 12, one of the busiest companies in the capital city. His fire certifications include Firefighter I/II, Hazardous Materials Operations Level Responder, Fire instructor I, and Fire Prevention Officer-Basic. Passionate about training, Sean has designed and presented several programs to departments In Massachusetts and Vermont, with a special emphasis on rapid intervention. In 2011, Sean was honored by the state of Massachusetts with a Firefighter of the Year award for Individual Meritorious conduct. Sean is also an experienced wild land firefighter, having served as a member of the Newark Vermont Hand Crew and Assistant Chief of the Williamstown MA Forestry Department. Sean is a certified Wildland Firefighter Type 1 and is also certified in portable pumps and water use. He has designed and led training programs on basic wildland firefighting to several agencies in Western Massachusetts. Sean’s EMS career is as diverse as his fire career. 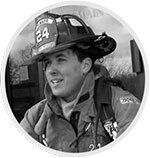 Sean has worked in fire-based and independent non-profit EMS agencies in rural, urban, and suburban settings. With these agencies, Sean has filled a variety of roles, including field training officer and field training supervisor. A nationally registered EMT-Basic, Sean is a Massachusetts EMT-Intermediate and a Rhode Island EMT-Cardiac. He is also certified in ACLS PHTLS and PEPP.